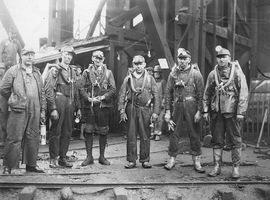 The resulting law increased mine inspections; allowed the government to shut down unsafe mines; placed stricter limits on coal dust; improved ventilation, roof supports, and methane detection; and provided compensation to miners suffering from black lung. After the disaster, Congressman Ken Hechler paid to bring hundreds of miners and the widows of the Farmington miners to protest at the nation’s capitol. Black lung doctors rallied miners in the coalfields and testified before Congress about unsafe mining conditions. And in the spring of 1969, 40,000 miners defied their union and went on strike to support the legislation. The resulting law increased mine inspections; allowed the government to shut down unsafe mines; placed stricter limits on coal dust; improved ventilation, roof supports, and methane detection; and provided compensation to miners suffering from black lung. The landmark legislation ultimately led to a significant decrease in deaths from coal mining.